It is a difficult job to keep the PC running perfectly at its maximum performance. It is even more difficult to find the right and reliable tools to do this job. Wise Registry Cleaner Pro is a reliable tool designed to optimize your PC performance by erasing unnecessary files. Many PC software applications create a lot of junk and temporary files on daily basis which results in system lag. Moreover, some applications add a lot of junk to the registry which results in performance drop of the PC. This simple and reliable tool solves this issue easily and gives your PC performance a boost as well as saving hard drive space. The download size is very small (~2MB) and the installation process is very quick, simple and straighforward. After launching it for the first time, it asks users to backup the current registry just in case that something goes wrong later and you need to return to the previous registry state. It runs in a similar method to other tools of its type. You have to initiate a scan, choose what to clean and what not to, and press the clean button. It does however offer a lot more than this, it offers many system tweaks to improve performance, along-with the ability to defragment the registry. The UI of the tool is modern and intuitive, all the features are arranged in such a manner that they are easily accessible. The at the top are 4 icons to access different features, first one being the ‘Registry Cleaner’ and following it are ‘System TuneUp’, ‘Registry Defrag’ and ‘Assistance’ which lets you register an account on Euask.com so you can get help with any issue that you might encounter. Clicking the ‘Registry Cleaner’ shows three big buttons for fast, deep and custom scans. While the ‘System TuneUp’ menu shows lists of system tweaks that you can perform to improve performance, these include tweaks to speed up network, increase system stability, optimize boot, and increase lifespan of SSD drives. Wise Registry Cleaner runs scans the registry and finds errors and residual items in the registry, and then cleans or defrag them. This results in reducing the size of the registry and removing junk and obsolete files from it. By fixing the errors in the registry, the systems speed and stability improves. It offers three types of scans for clean up, namely fast scan, deep scan and custom scan. Users can choose the one they prefer and give their PC performance a boost. The registry is backed up when you launch the tool for the first time, the tool also keeps backing up the registry everytime you run the scan and before you make any changes to the registry. This ensures that you’re safe and secure from possible system crashes if something goes wrong while making changes to the registry. With this tool you can easily restore your PC to last registry state. Other than just cleaning and defragging registry, this tool offers tweaks to system settings which can improve system performance. Based on your current configuration, this tool suggests network tweaks, system stability and optimization items that can be corrected. This results in stable and faster network, with improved boot up time. You can schedule this tool to run registry cleaner on daily, weekly or monthly basis. Moreover, it lets you create a ‘Clean with 1-click’ icon on the desktop, which lets you automatically clean the PC without even running the Wise Registry Cleaner. This tool supports many languages and lets you choose your preferred one in the settings drop-down menu. Moreover, it also lets you change the color of the UI to a color you choose from the color picker window. 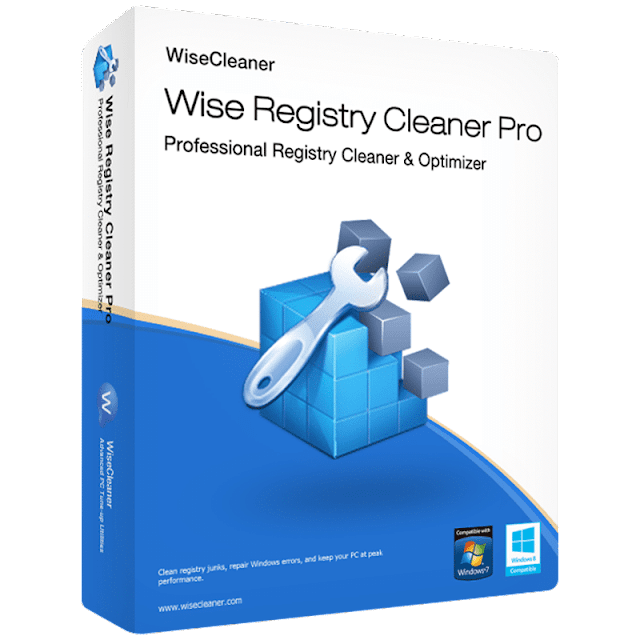 Wise Registry Cleaner Pro is a smart and reliable tool that can really help you improve you PC performance and stability. The UI is easy-to use and understand which enables even novices to use it without any trouble. The system tweaks are really helpful in improving your overall experience with your PC. It is recommended for anyone who is facing degradation in PC performance due to registry size and errors. The download link for Wise Registry Cleaner Pro is given to you above. The download is an installer with registration built-in. Download and install Wise Registry Cleaner Pro. After that, simply enjoy! There is no need to register it, we register it for you automatically when you download from us.